Bloodstone is also known as Heliotrope. It gets its name from distinguishing, deep red spots that appear like drops of blood. 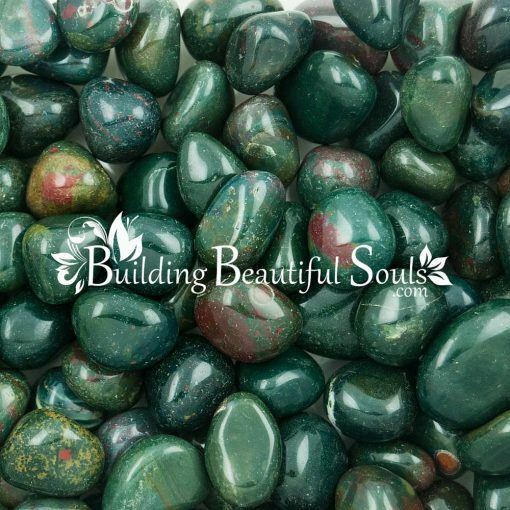 Bloodstone symbolizes strength of character, family ties, and protection from injustice. Folk healers carried Bloodstone, often crushing it with honey to stop nose bleeds and remove poison from the system. Additional benefits include improved mental clarity, bravery, vitality and calming stress-oriented conditions. 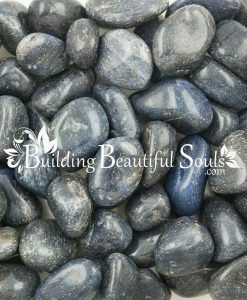 When it comes to thoughts, you’ll find Bloodstone a good helpmate for business matters, particularly of a legal nature. In love it acts as an aphrodisiacs, in life it extends longevity and in the arts it provides greater inventiveness. 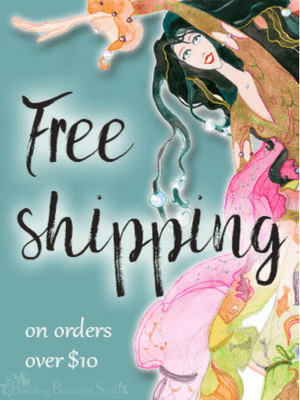 Use it under your pillow for vivid dreams. 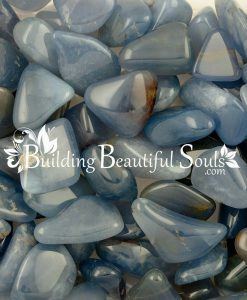 The Greeks felt that this sacred stone inspired transformation and protected the bearer against mis-justice and evil. Because of Bloodstone’s appearance, the ancients also felt it was an ideal stone to heal bleeding. When you lack fortitude, carry Bloodstone with you regularly. It also helps with spiritual resolve. Don’t wait any longer to take those actions you know your life needs! 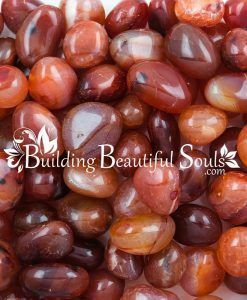 Let the spirit of the Bloodstone support manifestation! Heliotrope is the birthstone for March, and can be used by people born in that month for improved self-confidence, for predicting weather and as a talisman of safety. Folk healers carried Bloodstone, often crushing it with honey to stop nose bleeds and remove poison from the system. Additional benefits include improved mental clarity, bravery, vitality and calming stress-oriented conditions. 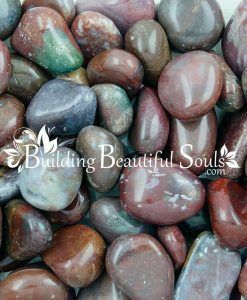 When it comes to thoughts, you’ll find Bloodstone a good helpmate for business matters, particularly of a legal nature. In love it acts as an aphrodisiacs, in life it extends longevity and in the arts it provides greater inventiveness. 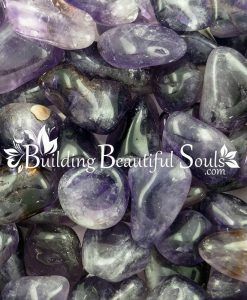 Put this willful healing crystal under your pillow for vivid and lucid dreaming.